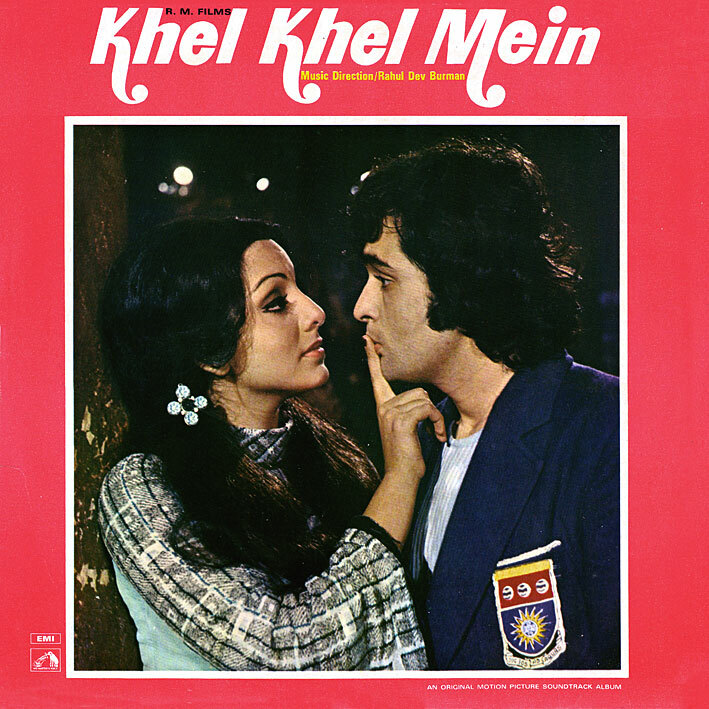 Getting this show back on the road: A week of RD Burman soundtracks, starting with 'Khel Khel Mein' from 1974. Increasingly though, after 40-something RD scores previously posted, the problem arises of what to write that I haven't already; I worry that my commentary is becoming redundant. Oh well... this particular effort is playfully poppy; nothing as outrageously 'out there' as Burman often could be, simply a bunch of good songs. Like 'Ham Ne Tum Ko Dekha', and 'Khullam Khulla Pyar'. And there are two ace instrumentals; the title music being my fave track of the album. A week of RD! :D Looking forward to that, PC! He was the best, IMHO, because he brought the music of the world into his compositions. So lively and peppy ! How many S.D. Burman albums do you have left ?. Not many, 1 or 2 I think. If you could possibly get your hands on Guide (1965) by SDB, it would be nothing short of AMAZING.